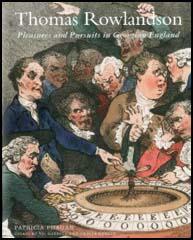 Thomas Rowlandson, the son of a successful businessman, was born in London in July 1756. Thomas learnt to draw before he could write and by the time he was ten he was spending all his free time drawing. After attending Eton he became a student at the Royal Academy. At sixteen he left for France where he spent two years at a drawing school in Paris. In 1777 Rowlandson opened a studio in Wardour Street where he established himself as a portrait painter. Rowlandson also travelled a great deal in Europe where he drew pictures of his experiences. Rowlandson became friends with James Gillray, the leading caricaturist in London. Rowlandson was a heavy gambler and after losing the money he inherited from a rich aunt, he paid his debts with drawings of popular and low-life subjects. In the 1780s Rowlandson painted fewer portraits and tended to concentrate on drawing. Rowlandson had his work published in journals such as the English Review and The Poetical Magazine. 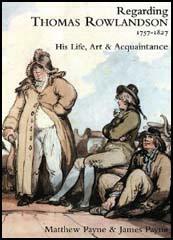 Rowlandson also illustrated books, including those written by Henry Fielding, Oliver Goldsmith and Laurence Sterne. Rowlandson also worked with Tobias George Smollett, whose radical books resulted in him being sent to prison for libel. Some of Rowlandson's political cartoons also got him in trouble and he was accused by his critics of being "coarse and indelicate". In 1808 Rowlandson began working with Rudolph Ackermann, a talented lithographer, who had started publishing a series of attractive colour-plate books. This included The Microcosm of London, a book published in three volumes between 1808 and 1811. The text of the first two volumes was written by William Pyne and the third volume by William Combe. The Microcosm of London was illustrated with 104 hand-coloured aquatint plates. Whereas Augustus Pugin supplied the drawings of the buildings, it was Rowlandson's task to paint the people in the pictures. Like many people in England, Rowlandson was horrified by the way the authorities treated the people who attended the meeting at St. Peter's Field, Manchester on 16th August, 1819, to hear Henry 'Orator' Hunt speak on parliamentary reform. As a result of the Peterloo Massacre, Rowlandson drew one of his most overtly political drawings. Thomas Rowlandson died on 22nd April 1827.